Offering rates of $115 + tax per night. All accommodations are two room suites (sleeping room and parlor) including a full American cooked-to-order breakfast, a two hour beverage reception nightly with check in time at 4:00 pm and check out at 12 noon. 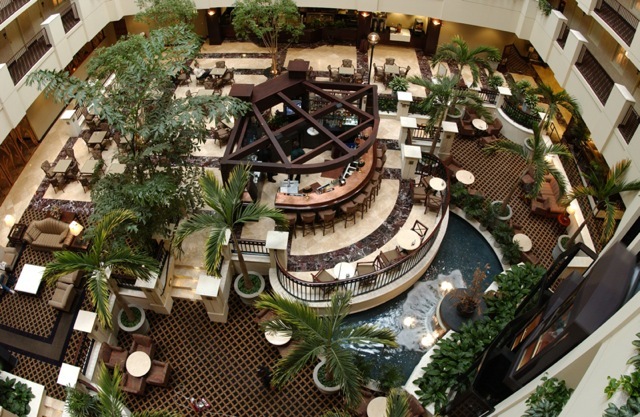 The Embassy Suites Orlando - Downtown is proud to be a certified "Green Lodging" hotel. Reservations can be made by calling 1-800-EMBASSY and asking for the "Lake Howell HS Class of 1991 - 20th Reunion" or clink on the link below. Reservations MUST be made by May 13th, 2011 to guarantee availability. After that date, price may change and availability may be limited.